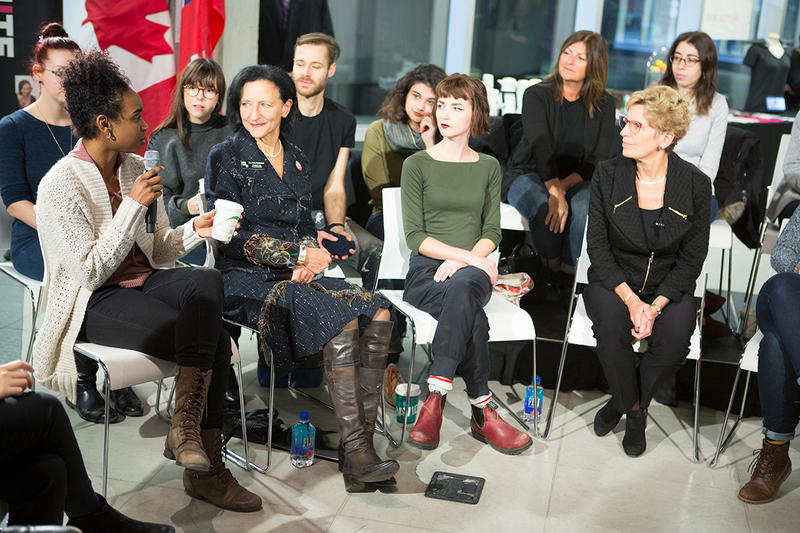 Premier Kathleen Wynne kicked off a tour of Ontario’s post-secondary institutions at OCAD University on January 23, 2017. The visit provided her with an opportunity to hear from students about important issues, including tuition costs and the post-graduation job market. 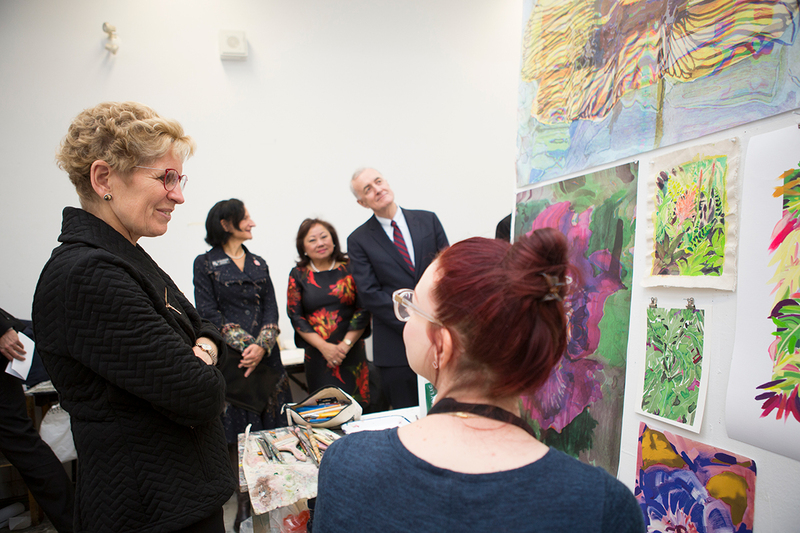 Premier Wynne met with students, faculty and staff, toured several studios and viewed innovation showcases. In a productive roundtable discussion with students, the premier discussed improvements that are coming to the Ontario Student Assistance Program to make higher education more accessible for young people. HAVE YOUR SAY! EAT FREE FOOD! Join the Student Union for supper in the Lambert Lounge to eat and share your concerns about OCAD U. What could be better? What has your experience at OCAD U been like so far? We use these discussions to help us build campaigns and advocacy goals for the rest of the year, so share your concerns and help us GET SH!# DONE!! This winter, a series of lunchtime Writing in the Disciplines Roundtables for faculty will be hosted by the Writing Across the Curriculum Initiative. Come for the discussion, share ideas and strategies with your colleagues, and have lunch on us!